WORCESTER, Mass. — When a family learns their child has been diagnosed with cancer, a flurry of questions start to begin. How do we pay for treatment? How do we work while caring for a child? How do we pay for normal bills? 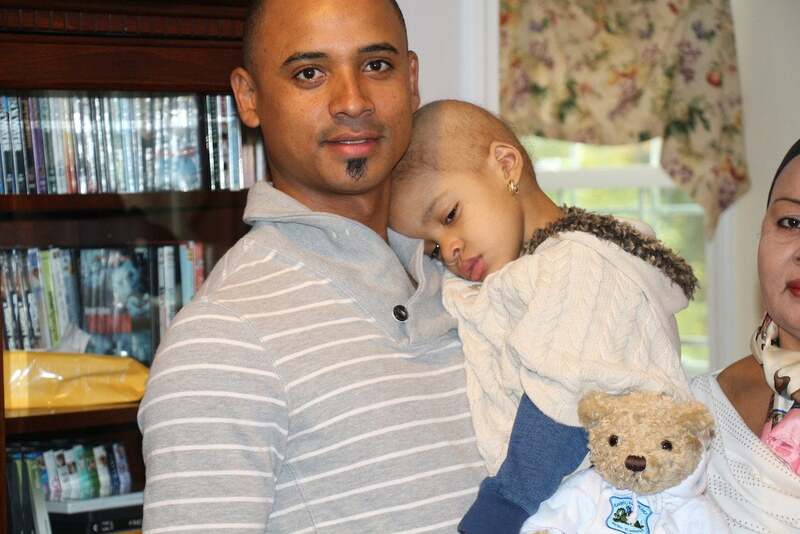 Cops for Kids with Cancer hoped to help a Worcester family ease some of those concerns Thursday as they presented the parents of 3-year-old Ana Medina with a $5,000 check to help with whatever they needed. 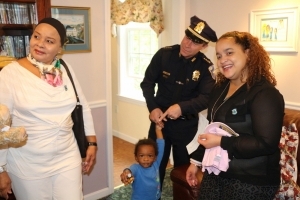 Ana, who was diagnosed with a kidney tumor and is still seeing complications with her lungs and around the area where the tumor was removed, snuggled with her father at the Why Me & Sherry’s House on Pleasant Street Thursday as Massachusetts State Police Detective Lieutenant Bill Coulter from Cops for Kids with Cancer along with Worcester Police Chief Steven Sargent and Massachusetts State Police Colonel McKeon presented the check to the family. “All the treatment and other things are expensive and it really means a lot,” said Ariaidys Medina, Ana’s mother. Ana was diagnosed with a tumor in her kidney a couple months ago. The tumor was removed but doctors found more cancer in the area. She is undergoing chemotherapy treatment. Coulter gave Ana a teddy bear along with a shirt and baseball hat. The program, started with the Boston Police Department, has helped children and families across the state. Sargent, who chatted with Ana’s family, said the gift is a tremendous help to the family. David Hagan, the executive director of Why Me & Sherry’s House, said the organization assists families with children who have cancer through support groups, summer camps, holiday parties and other programs. “We look at all the ways the families’ lives have been disrupted and we have programs to address those issues,” he said. People realize their lives have changed and in a household where two people work, most likely one person has to quit their job, Hagan said. People can be overwhelmed and want to meet with families going through similar situations.